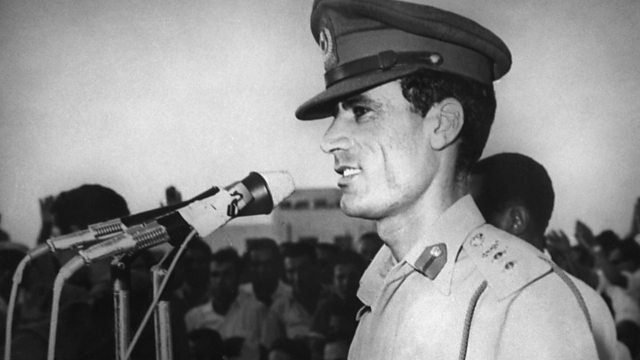 A military coup in Libya in September 1969 brought Muammar Gaddafi to power. Hear the story of one dissident's flight into exile and eventual disappearance at the regime's hands. In September 1969, a military coup in Libya brought Muammar Gaddafi to power. Louise Hidalgo has been speaking to award-winning writer Hisham Matar about life in Libya in the first decade of Gaddafi's rule, his family’s flight from Libya and how his father, Jaballa Matar, became one of Gaddafi's most prominent opponents in exile and paid the ultimate price.